So, after gun toting criminal Mark Duggan was shot by police officers trying to arrest him his family organised a protest where they whipped up people into a full blown riot. 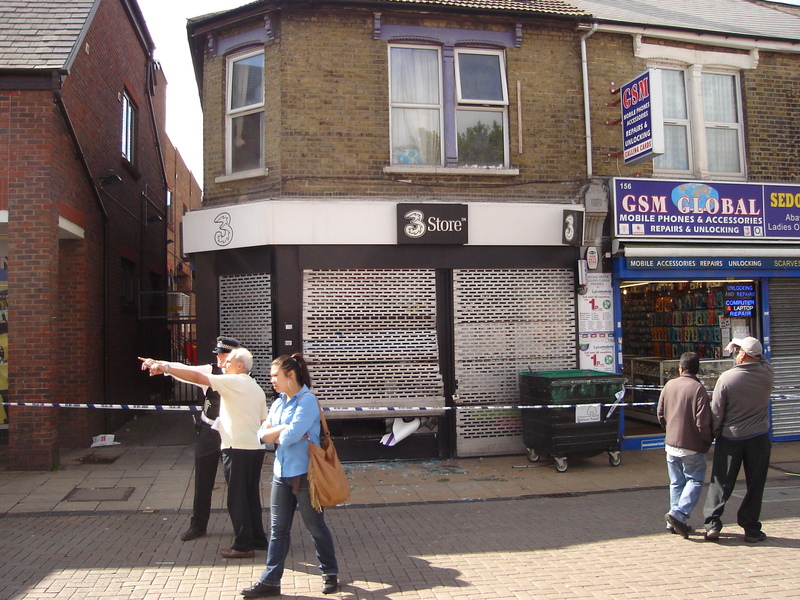 Last night that violence and crime was brought to Walthamstow. I was following the #Walthamstow posts on twitter and was very proud. Proud that our MP, Stella Creasy, was calling for calm and tweeting from the High Street dispelling rumours about the damage. And I was proud that our community all jumped on twitter to condemn these crimes and their perpetrators. 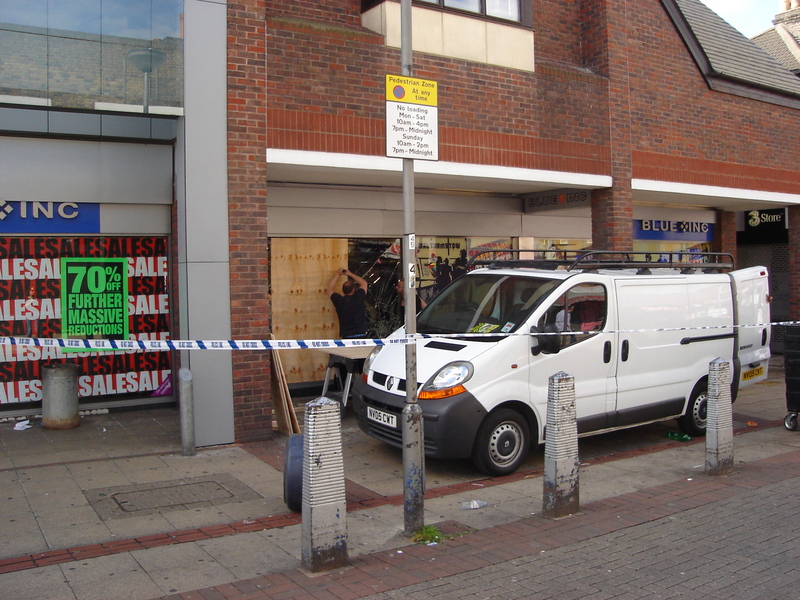 I walked up the high street today and took some photos of the damage. No fires, thank goodness, just broken glass and looting. 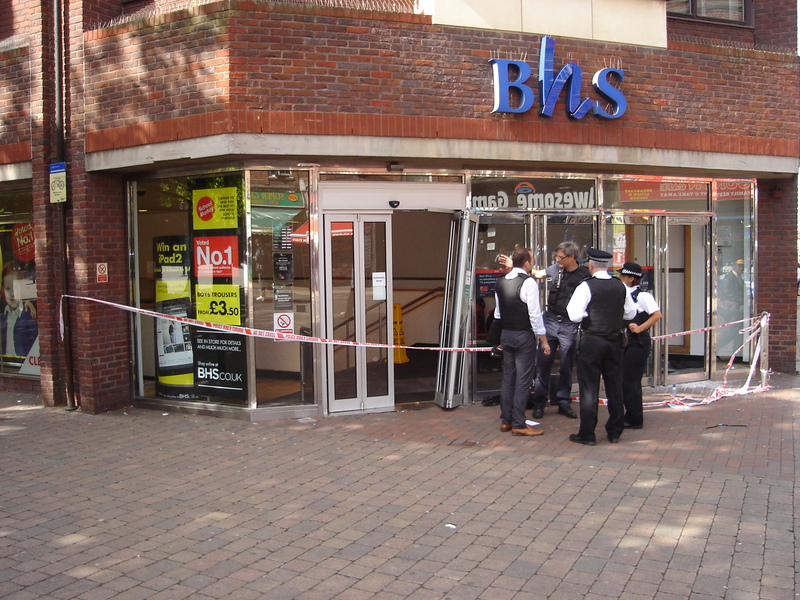 Blue Inc in Selbourne Walk was robbed too. 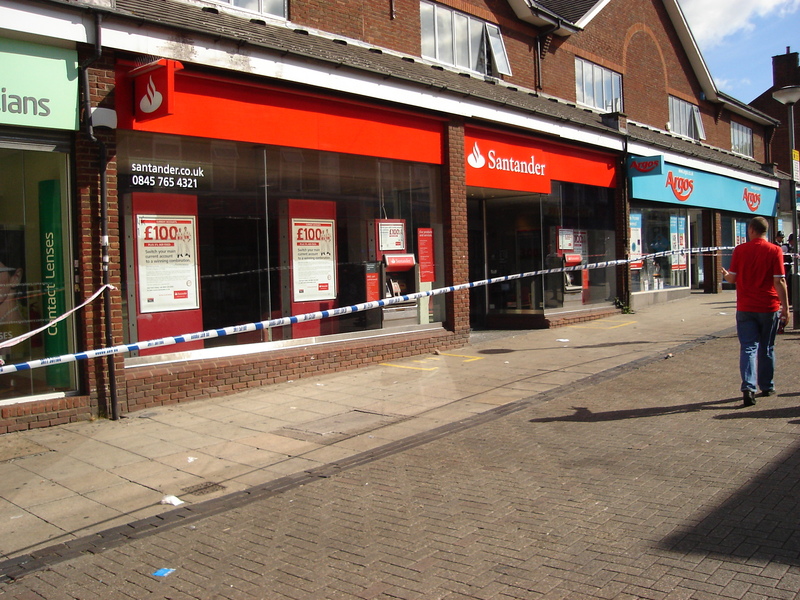 Santander was taped off but I couldn't see any damage. Some nasty damge here. 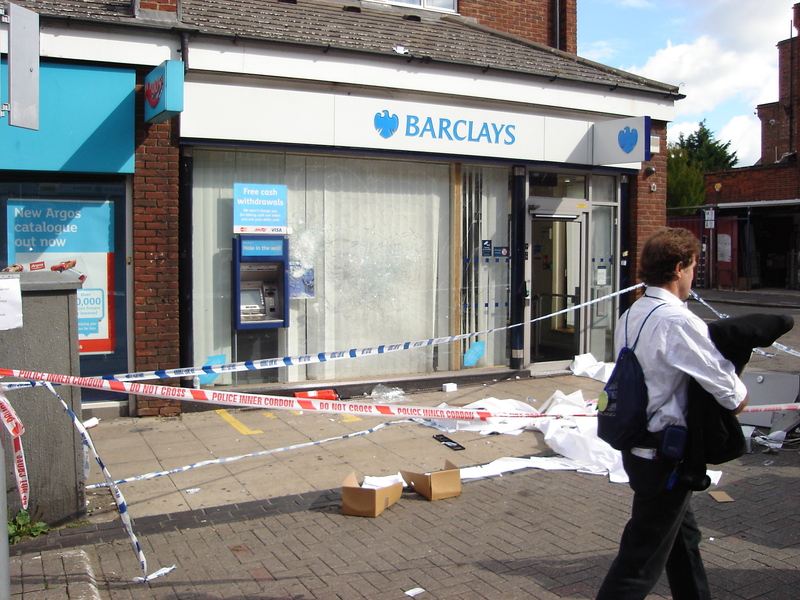 I heard a cash machine was stolen. Maybe a freestanding one from inside? Or maybe round the side where I didn't thing to look. BHS was robbed. I guess if you're going to end up in prison you need soft furnishings to cheer the place up. 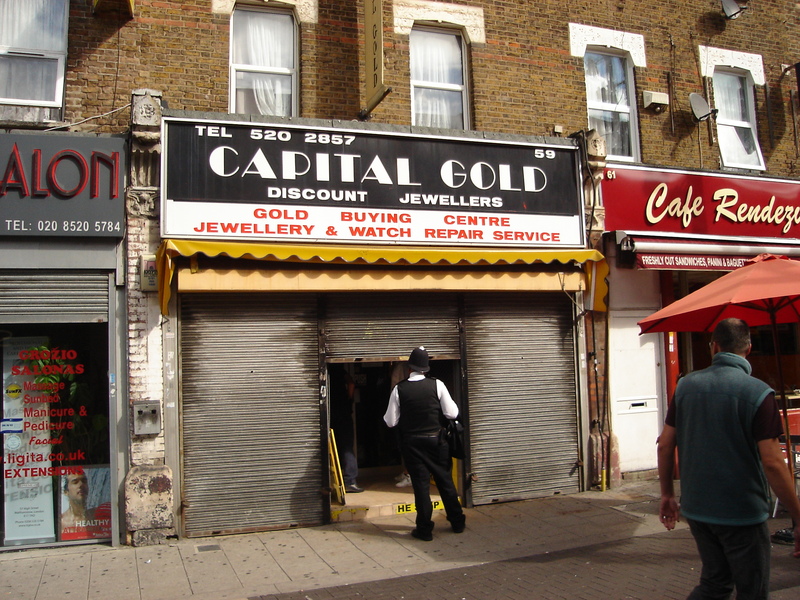 This small Jewellers at the bottom of the High Steet had a smahed glass door. I guess they forced the shutters first.